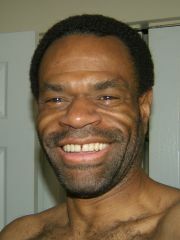 Reggie -- It has been very helpful for me to put my HIV status on this and every site. Those that come to you will come knowing your status up front and act accordingly. 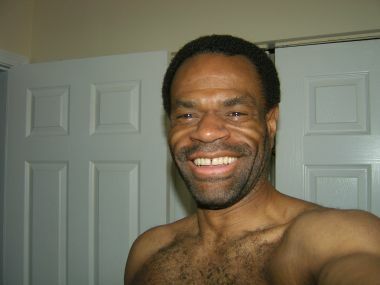 --Not sure what it is, lately I have been clicking on muscular photos but find the hottest guys are the ones smiling. -- Moved to Baton Rouge on May 1, 2011. 55% btm; 45% top; HIV+ since '94, virus undetectable since '97, healthy. I have the mental integrity to know the virus isn't all that I am. I applaud those with a positive message and those with a not so positive thought for us - we know that your goal is to improve our lives, you just take a different approach. This is a great site to improve minds - a mix of sexuality & intellectualism - let's use it well. I welcome opportunities to meet and greet- on rare occasions, just hook up. - Be forwarned, if you say you want to meet and I am attracted to your profile my next message will be day, time to meet, precise address and location to meet, phone number and name. That is what I consider 'keeping it real.' Anything less is not. --Conversation = you provide information, not questions, I respond with information = Conversation. - Looking to give back where I can and help others succeed. Long, deep, passionate and muscular kisses. I want to find the one, the one for now and the one forever.--If you say you want to meet, I hope you would immediately: Introduce yourself, give day & time to meet, precise address and location to meet, phone number and name; write "I'm Joe Smith, let's meet at 8:30 PM Wed 9 Oct at 1234 Main Street, Apt 345, third floor, fifth door on the right, my number is (123) 123-1234 in case you get lost." Words of encouragement: We are our own worst critics and that is normal, it will pass as you realize that being positive is not the sum total of your life and contributions to society. Realize that you are more that the disease, just as you are more than the color of your skin, you are more than the car you drive, the job you have, the house you live in; you are more than anyone could ever imagine because you are an amazingly intricate creation. Family and friends love us enough to let use make a mistake or two. We grow from our errors and help others to grow also. Yes, there will be a feeling of devastation, loneliness, and despair, but continue to live life. Please do not let being HIV+, or a poor job evaluation, or a fender bender, or burning a piece of toast take over your life and become the sum total of who you are; consider those born with severe birth defects, those with diabetes, those with mental disorders - what is it that allows them to live full lives is an unimaginable force. Do not let one minor error control the majority of your life, you and the totality of your life are far more important than what has happened in a moment in time. Take this lesson, learn from it, educate others, be a witness to the greatness of the humanity in all of us. Yes, be hard on yourself, let that emotion run its course, then rejoice in the rest of your life and show others what it means to have the ultimate gift of humanity. ReggienBaton hasn't asked any friends to write a recommendation yet.